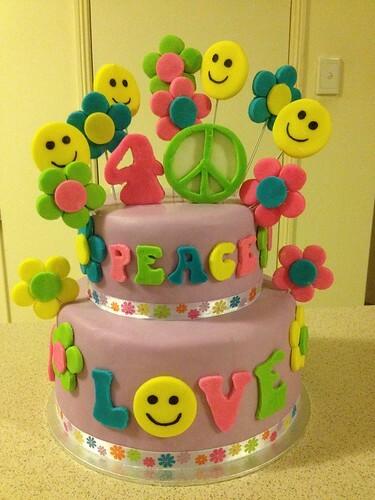 Hippie, Peace & Love themed birthday cake. Two tier chocolate cake with butter cream filling. Cake and decoration all made from fondant and all edible and all cut by hand.